The statistic depicts the results of a survey conducted among U.S. consumers about the amount of money they plan to spend on holiday shopping in the coming season. 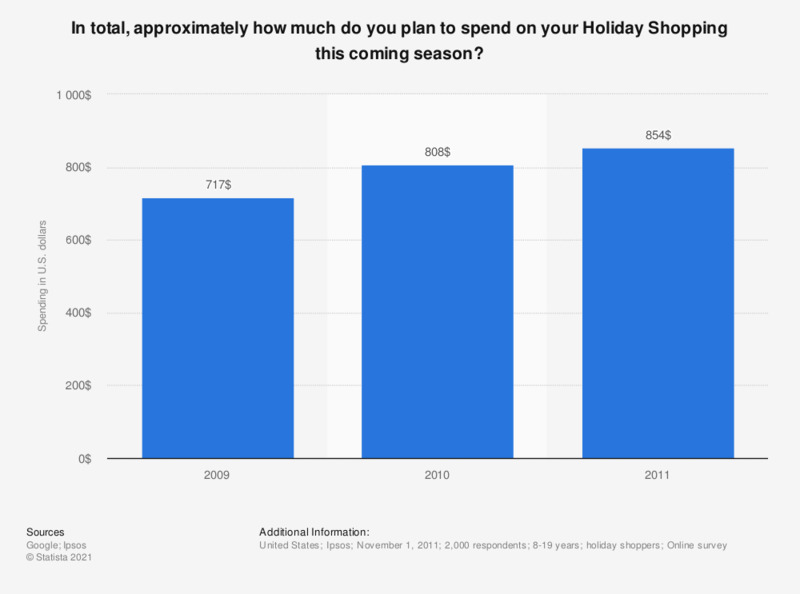 The average amount consumers are planning to spend on holiday shopping the coming season was 854 U.S. dollars in 2011. Listed below are a variety of products or services that you may purchase for yourself or someone else during the upcoming Holiday Season. Which of the following do you plan to shop for or purchase?